With a precise injection of a mild irritant solution directly on the site of the torn or stretched ligament or tendon, prolotherapy creates a mild, controlled injury that stimulates the body’s natural healing mechanisms to lay down new tissue on the weakened area. 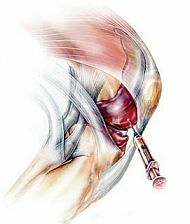 The mild inflammatory response that is created by the injection encourages growth of new ligament or tendon fibers, resulting in a tightening of the weakened structure. Additional treatments repeat this process, allowing a gradual buildup of tissue to restore the original strength to the area. This form of therapy can be used to treat dislocation of the joints, knee pain, shoulder pain, Temporal Mandibular Joint dysfunction, Carpal Tunnel Syndrome, and disc problems at any level of the spine. The therapy affects only the area treated and does not cause any problem in any other area. The anticipated rate of success depends on a number of variables, including the patient’s history and ability to heal, and the type of solution used. In patients with low back pain with hypermobility, 85% to 95% of patients treated experience remission of pain with this form of therapy. In comparison, the Journal of Bone and Joint Therapy reports on a 52% improvement in patients treated surgically for disc involvement. Prolotherapy has been used successfully as early as 500 B.C. when Roman soldiers with shoulder joint dislocations were treated with hot branding irons to help fuse the torn ligaments in the shoulder joint. Advances in medicines greatly improved on this process, and led to the modern techniques of strengthening the fibrous tissue rather than producing scarring to fuse tissues. In 1926, a group of physicians met with great success using injection therapy to treat hernias and hemorrhoids. Earl Gedney, D.O., a well-known Orthopedist, decreased his surgical practice and began to inject joints with these newer injectible medicines in the 1940s and 1950s. Also, in 1950, George Stuart Hackett, M.D., wrote a book on injection therapy. His work is still used today in training physicians. In the years since this early work, techniques and medications have advanced to move from a scarring or fusing effect to a strengthening effect, which restores the weakened joint to its original level of stability, without loss of flexibility and function.